Fed chief Janet Yellen: Trump policies are a "source of uncertainty"
America's top central banker sees President Trump's agenda as a source of uncertainty for the U.S. economy. Federal Reserve Chair Janet Yellen on Wednesday testified on Capitol Hill, where she noted the economy's modest growth, the job market's solid gains and the Fed's plans to start selling some of the $4.4 trillion in debt and mortgage-backed securities on its balance sheet that it racked up during the financial crisis. But Yellen said there the economic outlook is unclear, given the Trump administration's still unfulfilled promises to cut taxes, renegotiate trade deals, rebuild American infrastructure and slash regulations. "Possible changes in fiscal and other government policies here in the United States represent another source of uncertainty," Federal Reserve Chair Janet Yellen told lawmakers. Yellen made her comments in semiannual testimony to the House financial services committee. She faces questions from lawmakers on Wednesday and will testify on Thursday before a Senate committee. Yellen's caution over Trump's policies echoes similar sentiments from other world economists. The International Monetary Fund lowered its forecast for U.S. growth last month, citing Trump's uncertain policies. The Office of Economic Cooperation and Development also warned that protectionist trade policies threaten global growth. "Every week with the distractions of the Trump administration, fiscal policy keeps getting pushed back and postponed," says Robert Frick, corporate economist at Navy Federal Credit Union. "It's a tremendous question mark and we're not getting any closer to seeing something." One of the biggest questions Yellen could face on Wednesday is her own future. Her term ends in February. President Trump could reappoint Yellen to another 4-year stint as Fed chair, and in the past he has both criticized and complimented her. Last September he said Yellen should be "ashamed" of herself for keeping interest rates low. In April, he told the Wall Street Journal Yellen is "not toast" and "I like her, I respect her." It's also unclear whether Yellen wants to stay in her post. 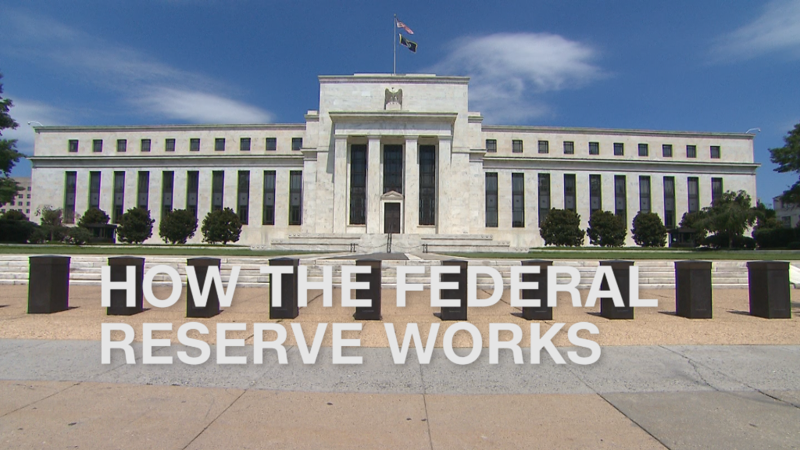 Yellen's remarks this week come as the Fed is picking up the pace of its interest rate hikes, which will eventually impact millions of Americans -- from savers to home buyers to investors. Its leaders raised rates in December, March and June. Prior to that, it had only bumped up rates once since 2008. Yellen noted in her testimony that the Fed plans to continue to gradually raise rates. Rate hikes are a sign that the economy has improved and doesn't need as much help from the Fed. Unemployment is down to 4.4%. In 2009, it peaked at 10%.